Todays breakfast is the dynamic designer duo, Omar and Mohamed Kabbani; Graphic design entrepreneurs, and street design fanatics who have climbed their way to the top. If you weren’t brought up in Beirut, Lebanon; the name of this brand might be very foreign to the ear & common tongue; but Ashekman to the Beirut slang culture simply means ‘Exhaust Pipe’. Their one common reference to everything street related. 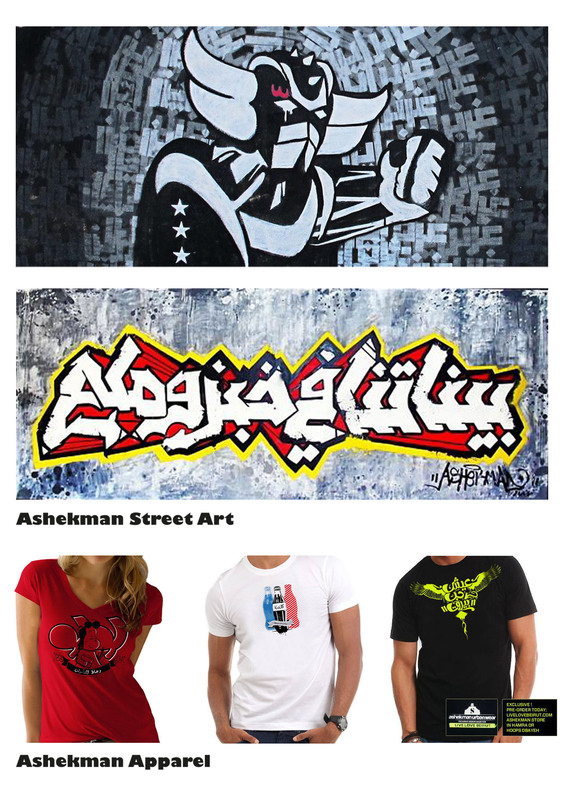 If your intrigued by street art talent, Ashekman is definitely your go to store. Their graphic t-shirts are eclectic, colorful and fresh. Aside from their t-shirts however, their window display is definitely something to check out. 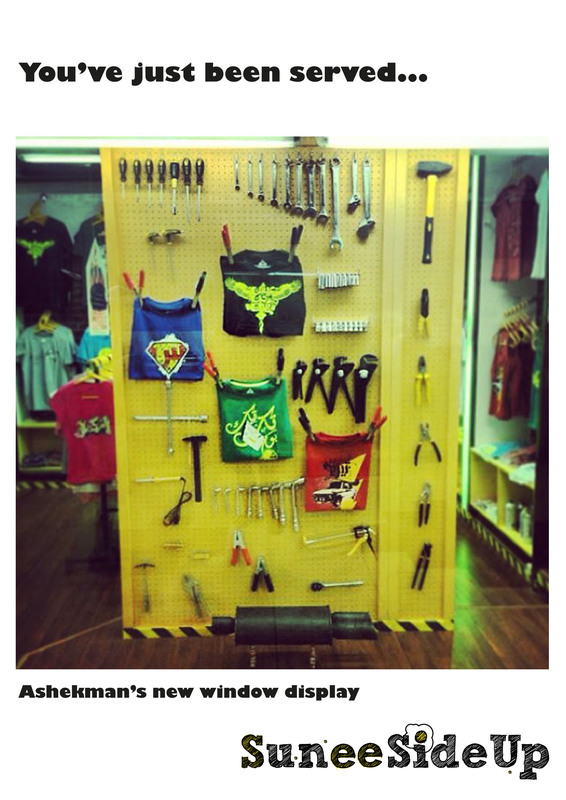 If you do happen to be in the neighborhood by Hamra, Beirut, Lebanon check out their life size toolbox; where it conveniently displays the nitty gritty tools to both your car engine, shirts and street art. 1. That feeling right after you shave your legs for the first time in a while and you can’t stop running your hands up and down your silky marble columns and you imagine that this is what a mermaid must feel like. 3. When you magically find a foundation or tinted moisturizer that’s in your shade. You hold it up to the sky as the clouds part and Jesus himself floats down on a ray of sunshine to be like, “It’s your time, girl. Cover those blemishes with ease and grace.” And then he butterfly kisses you and floats back up. She’s my 7-year-old and her world is a fascinating place. Her daily needs are simple; food, sleep and adventure. Her notebook is full of friendly monster doodles and has a clockwork morning report of her nightly dreams. In one particular instance, she woke to tell me that she dreamt that she could fly. And she had a simple request. She wanted to do a photoshoot of her dream. Welcome to another edition of food fabulous design! This topic specifically has been one that I’ve been dying to share with you all for a while now, since its one that never fails to impress me! 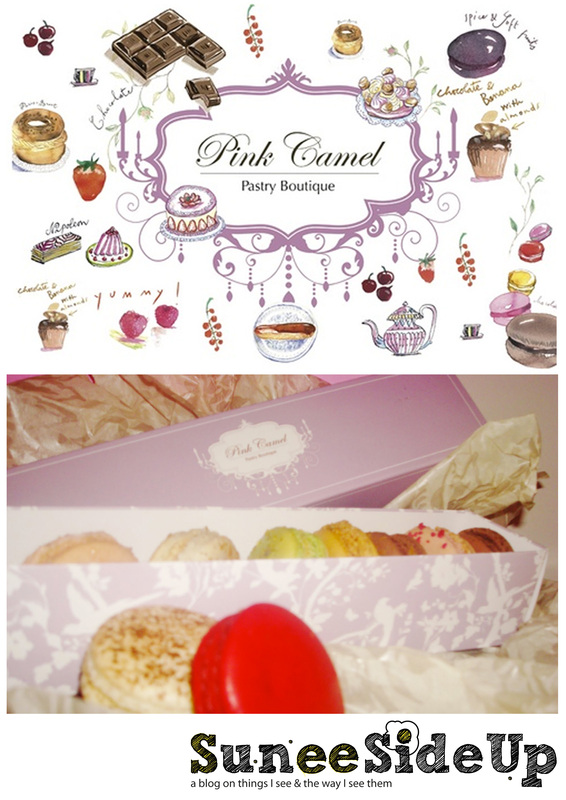 Pink Camel Pastry Boutique, located in Jeddah, Saudi Arabia, is a success story for many; and for a person who enjoys looking at fabulous design, just as much as loves eating, I think its safe to say that its the perfect combo! 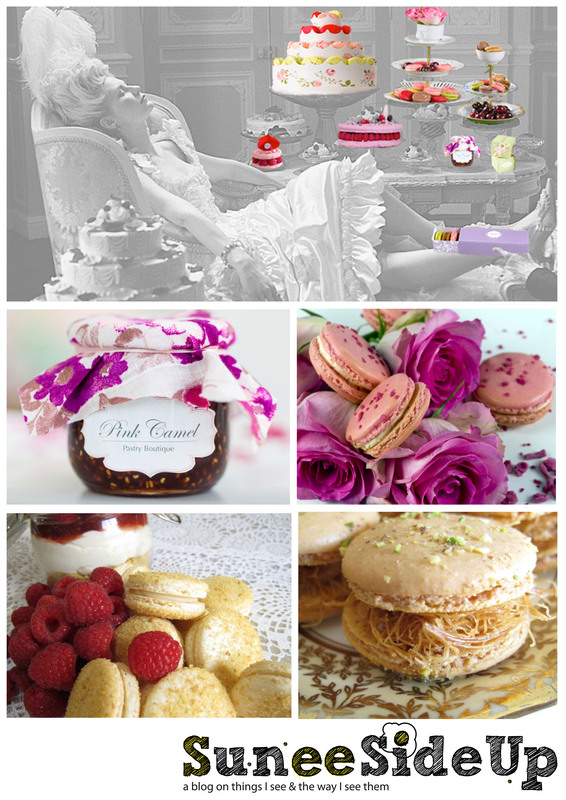 Pink Camel is a pastry boutique that specializes in catering to the Arab society, specifically enhancing it however with a local and authentic twist. The design, and over all look might come off vintage with a twist of kitsch, succeeding in giving the store a complete look and feel of fresh, fun, vibrant and attractive. Its famous for its macaroons covering a wide range of variety. Whether your a chocolate addict, nutella fan, or simply want to indulge in a late night halawa snack, Pink Camel gives you just that, perfectly assembled into a single macaroon. During Ramadan, Pink Camel catered to the local audience, and catered to a selection of traditional Arabic sweets, such as “Knefe”. My facial expression whilst indulging on Pink Camel’s famous S’more Macaroon was simply picturesque. Macaroons are just partial to the complete array of cheesecakes, jams, chocolate chip cookies and cotton candy marshmellows the store has to offer. The place leaves you at awe, and you can’t possibly go in and not leave with more. This boutique is more of a food concept, that is only strengthened by its visual creativity. They empower each other giving the customer a visual and physical experience, rather than just merely an experience that is solely dependent on the distinct taste of your preferred dessert. The cheesecakes, and jams are delightfully packaged into little jars, making them both functional and desirable at the same time. After consuming deserts, they become a perfect accessory for your kitchen. Not to mention the incredible attention they would receive if you would have them catered to a personal, or home event. 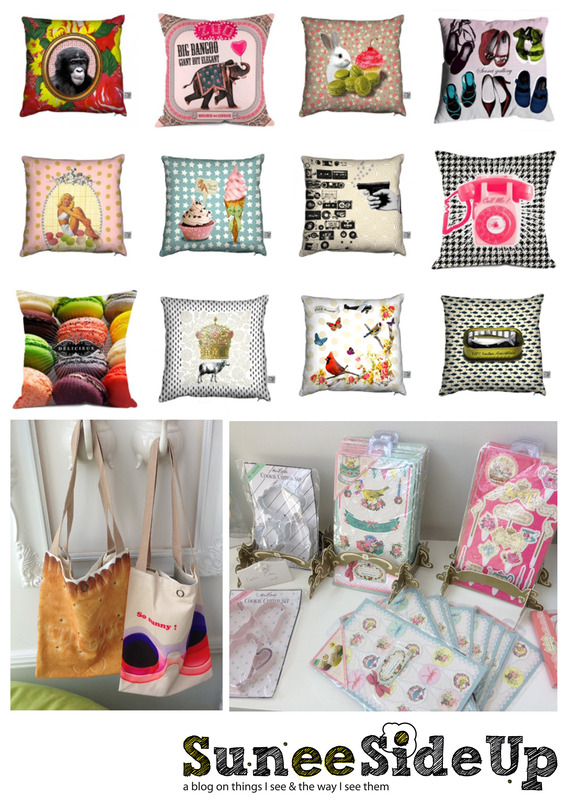 The store also has a wide range of creatively designed pillows and tote bags, that might yield absolutely nothing to the food industry, but everything to an item which is funky and fresh, and goes perfectly with your bedroom sheets. These designed pillows create the over all identity of the shop, and the ever changing characters and colors never fall far from the reminiscent concept of that which is Pink Camel. From boxes, to plastic bags. From business cards, to jars. From pillow cases to tote bags; this place is definitely a must to check out when visiting Jeddah! Im sure you won’t leave the store empty handed, and wanting more. 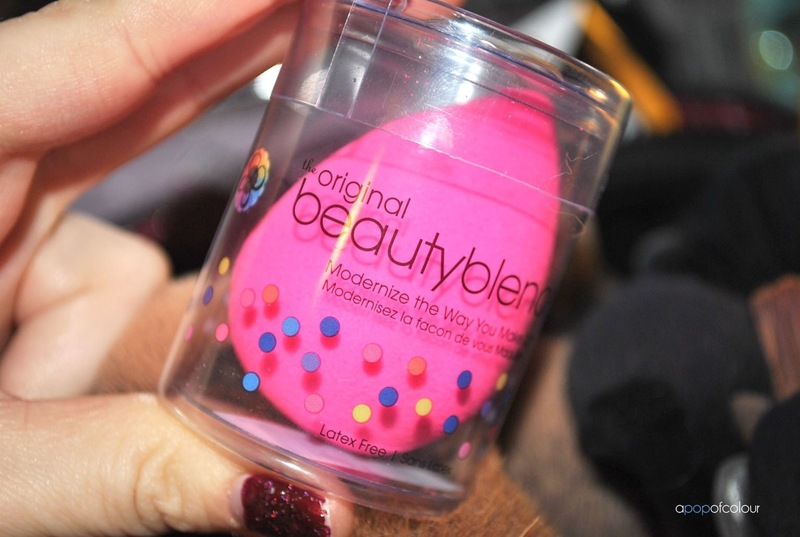 One of my favorite beauty tools is the Beauty Blender. After purchasing my first beauty blender about a year ago I became hooked. No brush compares to this tool it leaves my foundation and concealer flawless. Might I also add its great for contouring because it leaves a nature contour on your face when blended properly leaving no lines or streaks. I discovered it after watching YouTube tutorials on Mario Dedivanovic at work on Kim Kardashian, and many other celebs. Once I saw the finishing touches on Kim and as he explained it so thoroughly how to use it through out the tutorial I knew I wanted to try it out. He literally made the Kardashian contour famous hence everyone does contours now. You can purchase the Beauty Blender at Sephora for $19.95 (best investment you’ll make TRUST ME!!! )… Let me know your thoughts in comment. Welcome to another batch of freshly cooked eggs SuneeSideUp! Today’s dose of creativity, falls under the fast paced world of fashion! Theres been a substantial amount of hype lately on high end brands, turned into casual loose t-shirts. I’ve been seeing a lot of them around, and frankly are very nicely and easily matched up with your favorite pair of distressed denim! Anyone looking for a casual look, can get away with a loose shirt and the right colorful tote bag, and Fyunka helps you do JUST THAT! . The name “Fyunka” known to the world of Saudi Culture, means Ribbon Bow in the spoken Arabic dialect. It is a fashion line based in Jeddah and inspired greatly by Saudi pop culture and reflect on a twist of Khaleeji insights. 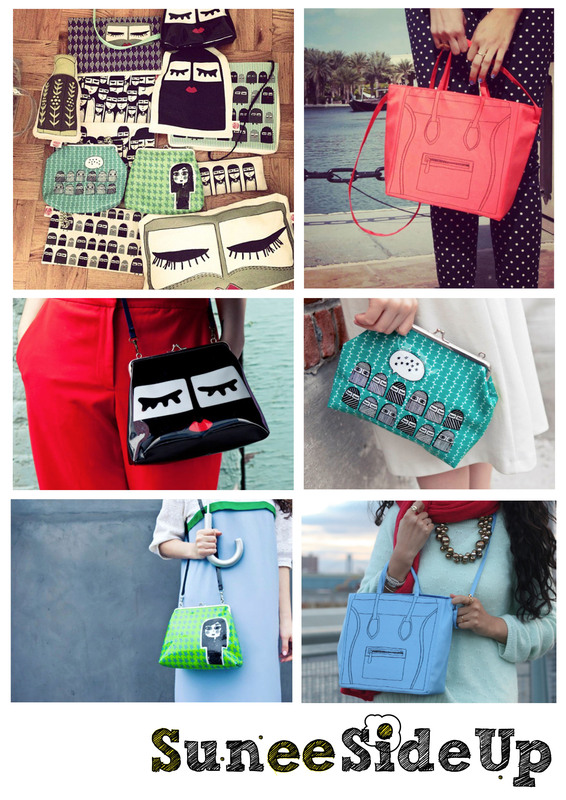 Anyone who has seen Fyunka items will know that her interpretations of caricatures of Saudi women in Abayas and huge eyelashes have become a trademark for the way the brand is recognized. Having lived in Jeddah for quite a while now, I can safely say that these items portray Saudi culture in the funnest way. The visual silk screen imitated repetition of illustrations fall under the 1960’s Andy Worhol theme, but brought into our present day society. After researching her items, I came to figure that these items are exclusively sold in certain boutiques and destinations; but if you do so happen to stumble on a Fyunka the Celine Tote is a definite favorite of mine and in my opinion a must buy item! Although I am not sure who the brand was originated by, the merchandise is catching on pretty fast! If you are out of town on a trip somewhere in Europe or further, these colorful and fashionable items serve as the perfect accessory to a casual outfit! Not only, they also celebrate the Saudi Culture and add a little bit of fresh and funky to the world of fashion and design! Fyunka also recently collaborated with Paper Moon, a gift wrapping concept also located in the KSA. The illustrations served as wrapping paper and added a nice touch to giveaway gifts. Every time I pass by Bateel in a mall, the concept and the evolution never fails to surprise me. Their goal? Re-interpreting the date language amongst locals, and general appreciators of the traditional delicacy in the Arab culture. Ever since I was at University, I guess the first thing I learnt was “Presentation counts”, and in Bateel’s case, the presentation serves as a communication tool to the Arab audience. Your not actually purchasing the date, which is in store at EVERY and ANY corner. Your purchasing a carefully hand picked, naturally grown and meticulously chosen set of dates; which are catered to a prestigious and elite set of credentials that does exist amongst the Arab community. This concept evolved from purchasing simple dates, to purchasing dates in beautiful packaging, to having the option of chocolate covered dates, to gourmet chocolate, to now offering a set of oils and vinegars and currently franchising a sub cafe known as “Cafe Bateel”. Its all in the design, presentation and reconnecting the audience with an authentic date experience with a more prestigious twist. When you purchase anything from this store, you are always presented with options as to how you would like to package your dates. A set of boxes are available; offering different sizes and colors, making whatever dates you do end up putting in your box the whole more visually appealing. The cheese cake stuffed chocolate is a must try, as is the cappuccino flavored chocolate, which nailed the coffee/chocolate experience. Bateel is now a known franchise in Dubai, Riyadh, Jeddah etc.. I suggest if you do happen to pass by, go in and give your eyes something to look at.